Staying on trend is important to many brides, and as the summer of 2019 approaches, it’s clear which items and styles are becoming hot news at weddings. Get the scoop on summer wedding centerpiece trends and find out how you can include them at your wedding. Tall candles are in for 2019, but not every reception venue allows them. If you must have these beauties, consider electric or battery-powered versions as less of a fire hazard—or simply leave the candles unlit and they’ll add dimension and height to the table. Black accents are incredibly chic this year. Use them sparingly and tastefully throughout your centerpieces, and you can take your wedding from pretty to sophisticated in minutes. If black isn’t for you, try a deep gray or navy instead. Darker, edgier color palettes are definitely in this year, and they look particularly dramatic when paired with vivid, rich florals. Modern weddings celebrate all that’s new and contemporary—but adding a traditional twist can create a pleasing juxtaposition. Consider balancing spare, stream-lined modern trends with the lushness of traditional elements to create a well-balanced tablescape. Instead of selecting flowers at random because they’re attractive, choose flowers that have particular meaning for you. Is a flower mentioned in your favorite song? Does your spouse-to-be remember the scent of specific flowers from his grandma’s house? Incorporate those flowers in your reception centerpieces to create a more meaningful and memorable display. Summer 2019’s tablescapes are erring on the side of simplicity. Instead of heaping the tables with every conceivable decor item or floral that goes with your theme, pare it down to a few select elements. Not only will it serve your budget well, but this strategy will achieve a cleaner, more impactful look. The two most recent royal weddings continue to influence bridal choices across the globe. Immense floral arches and other over-the-top decor options are popular, so it makes sense that larger, more dramatic floral installations would find their way to reception tables as well. It’s fine to select tall, overflowing centerpieces for your tables, but keep in mind the actual dimensions of the table and the space required to properly set each place. Consult with your florist and caterer to determine the optimal size for those gorgeous, blooming centerpieces. Velvet and lucite are two materials that appear to be trending for summer 2019. Consider various ways to incorporate beautiful lucite or lush velvet into your wedding tablescape. Placemats, accent cloths, or ribbons could feature velvet, while place card holders, tableware, or other small decor items could be made of lucite. With any trend, the question to ask is, “Does it work for me?” If not, don’t feel pressured to include it in your wedding. Ultimately, this day is about you and your soon-to-be spouse, and no of-the-moment centerpiece is going to enhance or detract from the love that you have for each other. 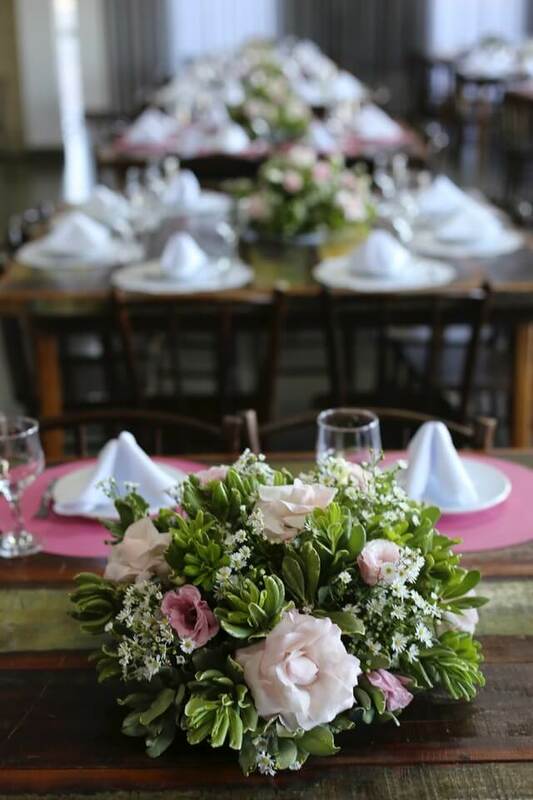 To glean more advice and ideas about wedding decor, talk to the event specialists at Nanina’s in the Park. We’re happy to offer you a tour and to chat about reception ideas and other ways to make your day memorable.